Punishment seems to have been published too late in the year to make these Best of 2014 lists coming out now. Such a shame, because this one is definitely in there in my Best of 2014! I devoured Punishment in one weekend. After finishing I was left bereft. Now what would I do? Now what would I read? I was so drawn into this story, I never wanted it to end. Although I knew where it might be leading us, I had to keep reading just so all of this glorious MacIntyre greatness could unfold before my eyes. Thank you so very, very much to Random House Canada for allowing us the opportunity to read Punishment. A treasure for my shelf now and solidifies my love for Mr. MacIntyre. I so love his writing, his style and yes, this story! Had I borrowed this from the library, I never would have seen it either. 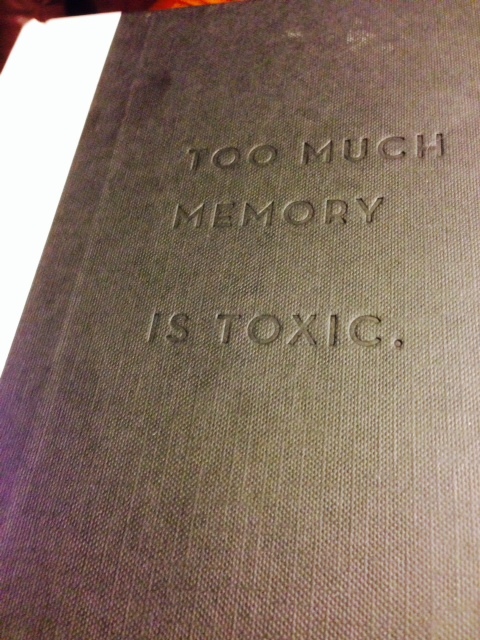 While reading it was something I often turned the book over to look at and dwell upon. 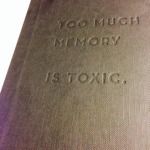 One of MacIntryre’s gifts is to leave you dwelling on things, and Punishment and “Too much memory is toxic” does as well. 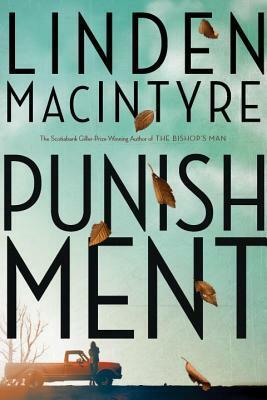 The inside flap states: “Punishment builds into a total page-turner that blindsides you with twists and betrayals.” Oh my, yes, it certainly does! Not only that, but this became a very timely read especially as the civil unrest is building in the U.S. and building between law enforcement and the public they serve. Tony is soon caught in a fierce emotional struggle between the outcast Strickland and the still alluring Caddy. And then another figure from Tony’s past, the forceful Neil Archie MacDonald–just retired in murky circumstances from the Boston police force–stokes the community’s anger and suspicion and an irresistible demand for punishment. Oh all the rich and flawed characters inside these pages: Tony, Neil, Caddy, Dwayne Strickland….I want to go and crawl back into their lives and spend just a little more time revelling in MacIntyre’s story. “Even after the official report – even after everything was cleared up, no wrongdoing found. Not even what happened to poor Donnie. Never mind what happened to me. Guys in that room had records as long as your arm – but you should have heard the garbage. You’d think I shot Martin Luther King.” pg. 136 as said by Neil to Tony. “But I sat there pondering his homily about values and I came within a whisker of saying what I really thought, that some of the worst people in the system never get out, that they fester there, day after day, until the bureaucracy lets them retire. Cops and prison guards. And how the one thing that sustains them is the power they wield, the power to control the smallest details of the incarcerated life, to bully and abuse people in poverty and prison in the name of institutional security, public safety, righteousness and values. And how we are so, so corrupted by that attitude and by our power. I came that close to saying it aloud. But was silenced by an overpowering feeling of futility.” page 139 thoughts of Tony Breau. I’m not going to break down the story and pen all these thoughts I had about it, about the people involved, and how freaking wonderful it was…I’ll only say that my weekend was consumed by it and everything else was left entirely neglected. I’ve waited with bated breath for a new Linden MacIntyre and thankfully, oh so thankfully, he delivered another fantastically moving and all-consuming page turner. I’m an absolute fan Mr. MacIntryre. Absolute.